So, I had a broken kind of a week. No new drama or crisis hit. It was one of those weeks where I lost sight of the bigger picture – or, actually, of my good good Father who lovingly crafts the bigger picture. 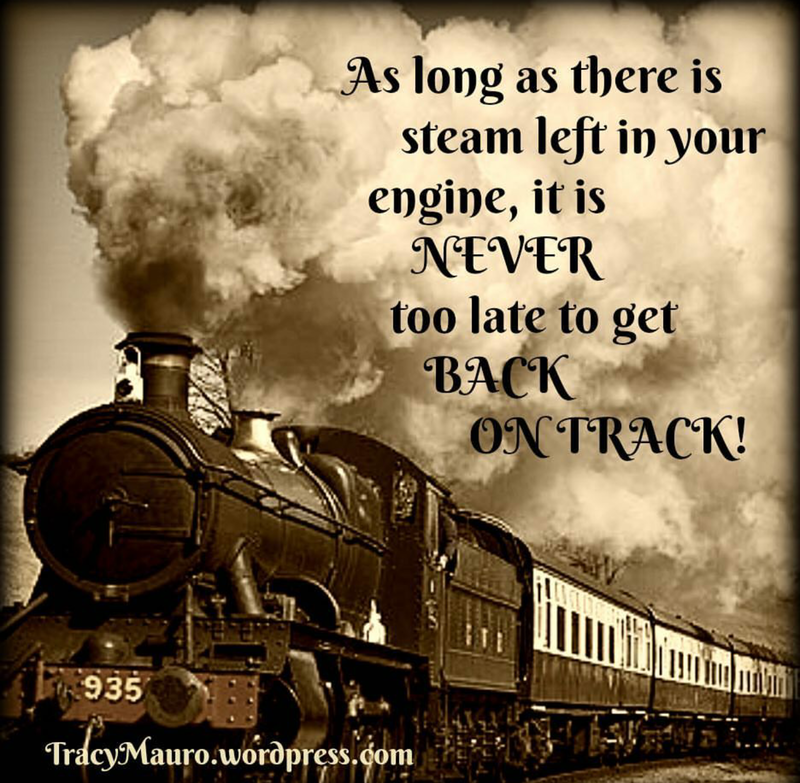 So I stopped trusting and pulled some “stuff” that has been coming on strong against me for a while out of God’s hands placing it squarely and only on my own shoulders – and it began to crush me. And I allowed it all to almost push me to the edge…. Quite literally to the edge – actually. I’ve been open with my story and history of depression and thoughts of suicide. Let me just be real transparent and say there are moments in my life I need to stay away from large metro areas with really tall building. No worries. You don’t have to call 911 and put me on a watch or anything. When I crawled out of bed long enough to drive into the city earlier this week, my Good Father made certain that both buildings I had in mind had more secure access to their balconies than I had recalled. And I am well past the crisis point now. 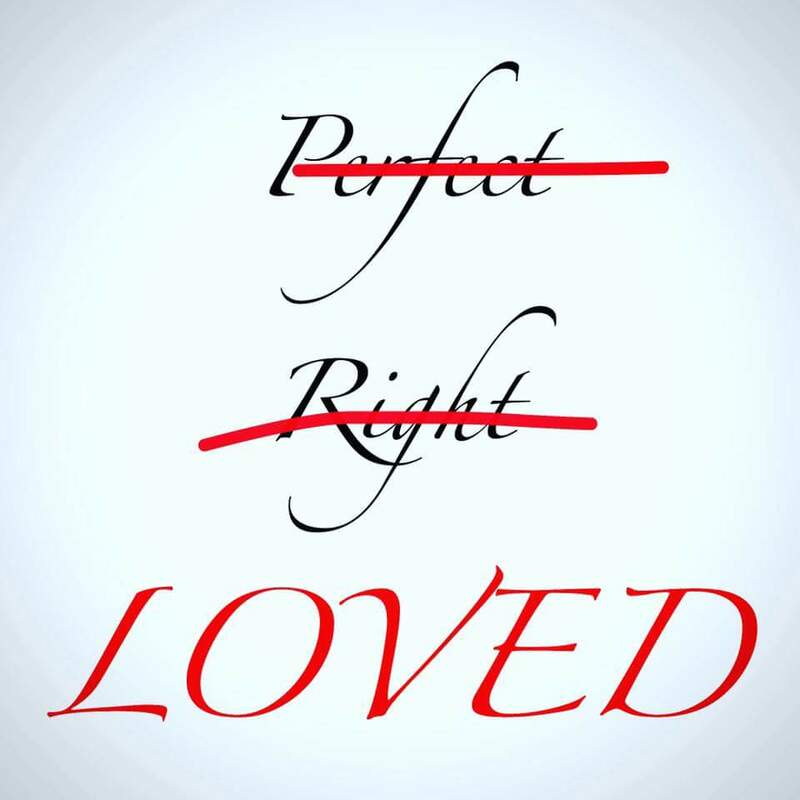 But – wow – was I ever a broken human! And trying to not to look broken in front of everyone I’m trying to be strong for shattered me even further. But now…. even though I’m past the most broken point of the week – I was still struggling this morning with quite a bit of shame and remorse about how I acted within that moment – even lashing out at those trying to help. 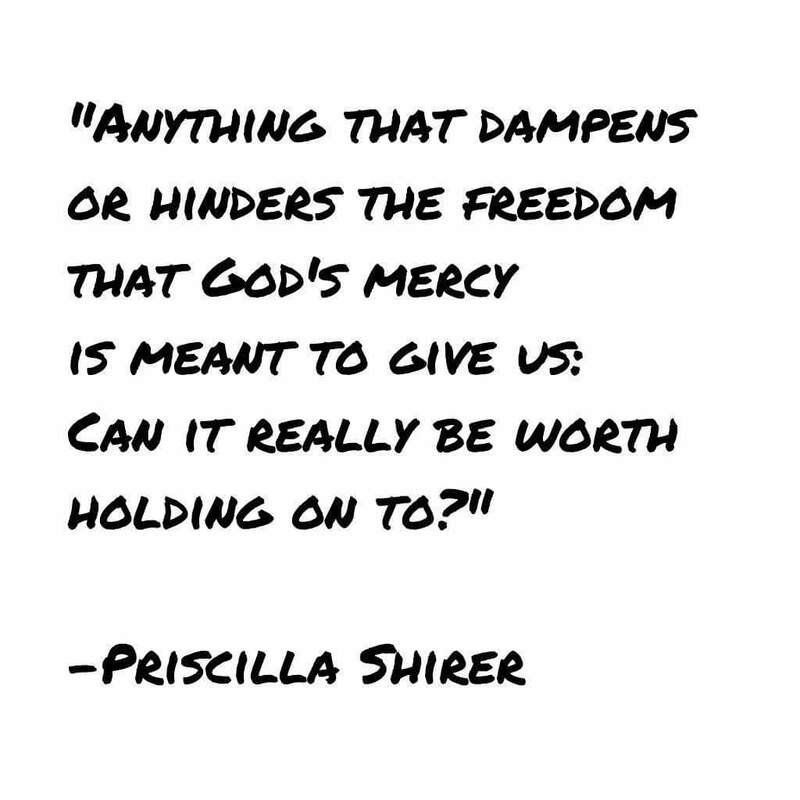 And I felt that my broken moment somehow diminished God’s glory in my life and His ability to use me. But then, as I was walking through the master bathroom this morning, I knocked the beautiful little bottle of fragrant oil you see in the picture off the side of the tub. The neck of the pretty antique bottle broke and it’s “head” rolled to the floor. (Thankfully, I am rather skilled at Super Glue repairs so I think I can fix it). 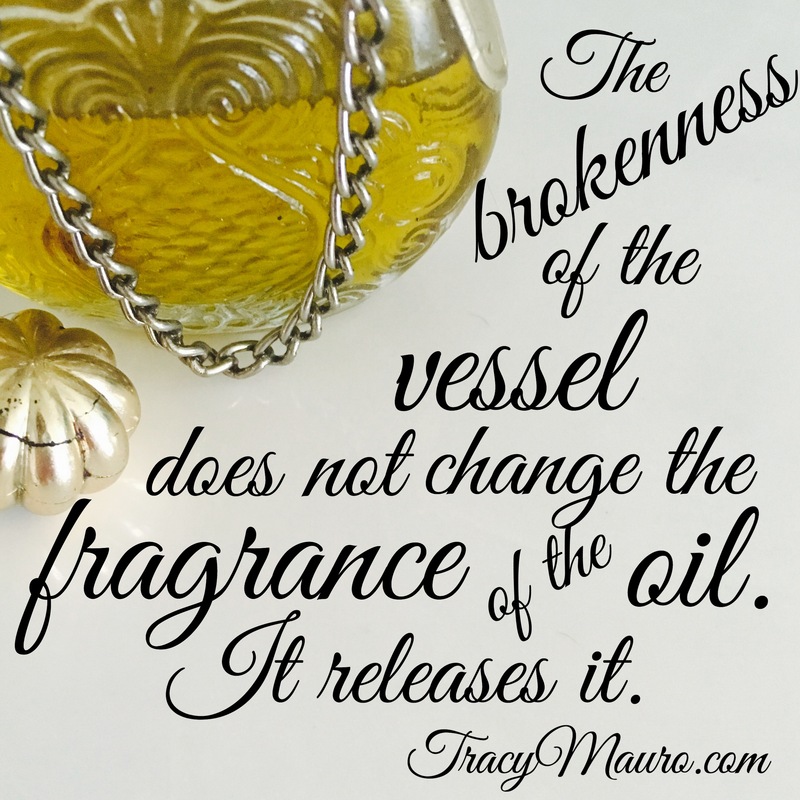 The brokenness of the vessel doesn’t change or lessen the power of the fragrance inside. The brokenness releases the fragrance to anyone who is near the broken vessel. Our brokenness does not diminish God’s ability to use us. Once we release our brokenness to Him, it deepens His ability to use us and further spreads His healing presence to the other broken ones. It’s really not about us anyway. It’s about WHO we carry. God collects the tears of the hurting (see Psalm 56:8) and weeps with those who weep (see John 11:33-35). And nothing is quite as beautiful as when His people do the same….. very rare and completely counter-cultural in a society that avoids pain and idolizes comfort…. but beautiful. May we have our #FathersHeart toward the hurting. 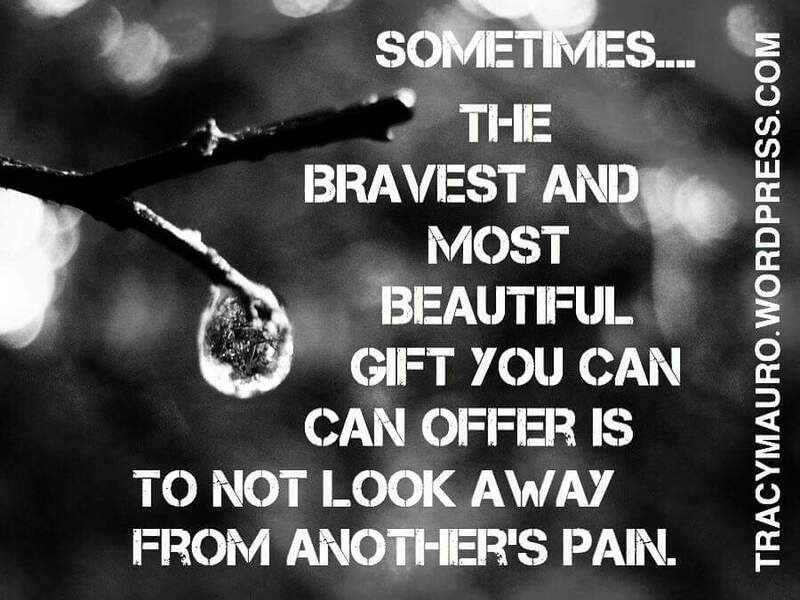 Sometimes it is OK to weep with them and be present in their pain rather than sing the same old #PressOnAndBeStrong song.